It is a shame to see Divock Origi go from hero to zero in such a short space of time for Liverpool, but that is exactly what has happened against Burnley on Wednesday. 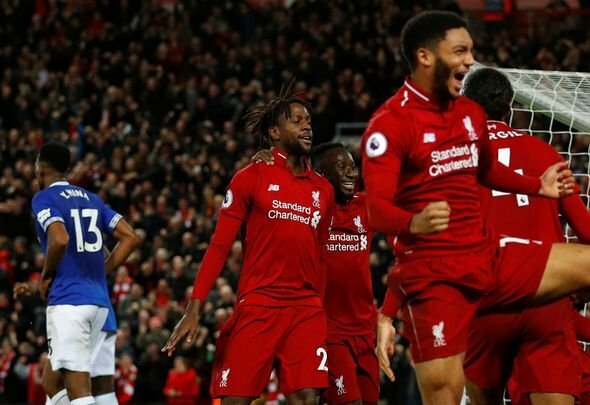 The Belgium international, fresh from his fortuitous injury-time winner against Everton at the weekend, was selected to start for the Reds up front alongside Daniel Sturridge against Burnley. Klopp spoke of utilising momentum in starting Origi after that huge moment, but there was no sign of any momentum at all at Turf Moor. Origi looked sluggish up top with Sturridge and offered very little real threat all evening for the Reds. There was obviously a reason for his continued absence from the first-team squad at Anfield over the past two seasons or so, and performances like this make that pretty clear. Origi looks seriously devoid of confidence and form, and surely must be farmed out on loan in January by the Reds. Spent the last few days telling myself Origi had finally got the break he needed and would kick on from the derby ???? Origi may have scored on Sunday offered nothing so far. If I ever see Moreno, Matip or Origi near this team ever again I'm jumping ship and supporting City.